Disclaimer, I’m talking about Role Playing Games, so if you came here for rocket propelled grenades, you’ll be disappointed. I consider myself a part of the gaming community. It’s an association that often comes with it’s own set of social stigmas and disapproving stares, at least when its the first or only tag people look at. Hopefully after some of the writing I’ve been able to share here, I can leave some of you convinced that it’s not entirely deserving of all that stigma. One thing I’ve found very interesting is how many gamers are writers at heart and don’t even know it! So today I’m inviting you to consider the possibilities. If you’re already a writer, then instead I’d like to present a means of inspiration. The first step in any RPG often mirrors the first step in making a good story: establishing a good characters. I’ve known some people who are absolutely phenomenal at creating characters, and I mean more than just picking a hairstyle or tattoo color. I mean finding character motivations, learning their quirks and habits, outlining their moral standards and more. This is where RPGs can be really helpful to writers as well as gamers. In an RPG, the universe is laid out for you, and it already comes with its own lore involving history, ethnicity, culture, religion and even art and science. For writers this means that you can focus on the character themselves. Its an excellent exercise in creating a believable personality and avoiding cliches. It also encourages research; delving into the background of the world so you can develop an accurate background for the character, which can also be inspiring for your own world-building. For gamers, that same process is often a great way to be introduced to some of the key mechanics of writing. A lot of times that involves stumbling on some of the popular cliches of modern fiction and sci-fi, but that’s part of the learning experience. If you can create a character that you find yourself immersed in, you can create a story that you and others can be immersed. In fact, a lot of gamers do just that. This is as much an element of writing as it is of RPGs. In writing we usually call it conflict (unless it’s fantasy, in which case quest works just fine), but its something every story needs to be interesting. What drives the heroes or villains forward? What is the situation that needs to be resolved? Why are these characters the ones who can do it? Having a clear goal in mind for the destination of a story helps you guide the action in between so it leads to that conclusion in a satisfying way. There are all kinds of quests out there, from delivering a package, to protecting a stronghold, to saving the world. If you’re a gamer, the idea of main quests and side quests should be familiar, and they are just as important in writing(due in no small part to the fact that that’s how they get into your games). Your characters will often be waylaid by distractions, smaller conflicts and opportunities to step off the beaten path, and these are, generally, good things; chances to delve more into your character’s motives, reactions and personalities using different settings. One small, but important difference here: In many gaming settings you can do side quests all the live long day, and the main story will be waiting patiently for you to come back to it. In fact, a lot of players prefer this approach, trying to get everything they can and unlock any secrets before finishing the game. This doesn’t work so well in writing. The pacing of a story is important, and if the characters ignore their main objective, the readers will notice and wonder why. This is often as simple as showing that the characters are aware of the time constraints they face. These two things together are the foundation of both a fun RPG and a fun writing (and reading) experience. If you’ve got one, you can do the other! If not, you may find that one makes excellent practice for the other. That’s all from me today. Best wishes in all your holiday endeavors! Feel free to give us some feedback in the comments about your approach to character development and how you do things differently. Hey, folks! Hope all is well with you! Today I’m putting out a multi-purpose post. I’m hoping to give you some motivation, share some of what’s inspired me (and the fruits of said inspiration), and maybe even start a tradition. We’ll see how it goes! That’s capital “I” inspiration we’re talking about. I have a few ideas of my own, but I hope that you’ll also share some of your inspirations in the comments below. Lets start by getting the obvious out of the way: media. A lot of great inspiration comes from things that were designed to inspire, which we often see in the huge variety of media that we enjoy these days. Things that are meant to capture the imagination like books, movies, and TV can be fantastic inspiration, even if only for letting us see what’s possible. Artwork is probably second only to literature and films in inspiring the things I write. Artists have a way of bringing to life the things we see in our imaginations, those often vague, semi-formed ideas that we just know are amazing, but can’t quite control. Even music, which often goes hand in hand with film and TV, can inspire new worlds and characters, which leads me to my next point. A large part of my early writing life was spent in play-by-post forum roleplaying. One of the funnest things about it was creating new characters to interact with the menagerie of other characters created by other writers. I loved exploring new quirks and histories with each new character. Sometimes they were inspired by my own experiences, or metaphysical ideas, and sometimes they were simple products of the rule of cool. One day, I challenged myself to create a character based on a song, and hit shuffle on my playlist. The song that played was a melodic dubstep track with very few words to string meaning between. Undeterred, I tried to see the song as a world viewed through the character’s eyes, and a concept quickly formed. The resulting character was a combination of classic and original fantasy elements, but with little story of his own. Each time I thought of the song, the story became a little clearer. Soon it had fleshed out this character completely, and through him, the world he inhabited. He will eventually have a role in a novel project, if not a book of his own. Each labored breath was accompanied by a pale cloud of frost, as two men wrapped in warm winter furs and leathers pulled themselves to the flat peak of the mountain, leaning on weathered staffs for support. Of the man in the lead, only a pink nose and beady black eyes were visible between his closely wrapped hood and the black beard spilling out of his furs. He immediately cast his gaze about, a wildness in his eyes as he found sure footing and relaxed his grip on the walking staff. He appeared to be immune to the stunning vista before them: a mountain valley, filled now with white, save for the green ribbons of evergreens winding their way up and down the hills and cliffs. Now and again, the heavy snow would slip from a tree and cause a rolling cloud of it to race down the mountainside. It was truly a spectacular view. But it seemed to be lost on not only the first, but the second man as well. His lowered hood revealed stringy, dirty blonde hair, slick with sweat from the effort of the climb. His ears and nose were also pink, burned by the cold. Pausing only a moment to take a much needed breath, he too turned his attention to the peak around them. Specifically the ground. “I don’t see anything, Sigmund! This can’t be right!” the first man exclaimed, beginning to pace around, kicking and sifting through the snow in his distress. “This can’t be right,” he said again, at last falling to his knees and pushing the snow aside with his mitten covered hands, the wooden spade hanging from his pack completely forgotten. The second man did not seem so feverish as he strode to and fro across the peak, but when Sigmund spoke he was comforting himself as much as his colleague. Sigmund’s sobering yell seemed to bring Alexi to his senses, and he got off his hands, sitting up to remove his pack and going to work with his spade. The two men worked for what must have been hours, peeling back the fresh snow, and then the porous ice underneath, exposing brown earth and pale stone. At first, they paced themselves, systematically clearing square meter by square meter, but never satisfied with what they found. When Alexi did not stop, his taller companion strode toward him, apparently ready to strike him with his tool, “Alexi! I said, that’s eno—” Sigmund stopped and stared down at the earth. His friend was still pawing lamely at the ground, sobbing quietly now and rocking slightly. He slowly lowered himself down beside his friend, an arm falling around his shoulders. The two men in the camp on the peak seemed to be almost completely different men from the two that had arrived at the mountain top that morning. Seated comfortably beside a roaring fire as night fell around them, the two were smiling, joking, and laughing. “So then Anders turns to me and says, just loud enough so Garmichel can hear, ‘He might find it indexed under “B,” I heard they retitled it “The Buffoon’s Compendium of Magical Mistakes!”’” Alexi finished, chuckling while Sigmund shook with silent laughter. Wiping tears from the corners of his eyes he managed to speak. “That’s the best part! The day before Anders had actually had the scribes rebind it with a cover saying just that! Garmichel searched for a week before he went to “B” in exasperation. There it was, the whole time. He was furious!” Sigmund dissolved into roaring laughter for several moments, joined by his friend. There was the clinking of tin cups as they drank to their success. At last Sigmund stood, his tall form made giant by the shadows the fire cast. Slapping his colleague firmly on the shoulder, he disappeared into his tent and had soon snuffed out the light. At length, Alexi reached into his pack and withdrew a leather bound tome. Strapped to the cover was a smaller volume, a journal held closed with a leather thong. This he removed and unbound. A couple of loose pages slipped out, falling to the earth beside the fire. Alexi’s eyes flashed with fear and he darted to save them. He held the pages close, breathing a sigh of relief, and then chuckling quietly; he didn’t need them now. He lovingly unfolded the pages. A couple of them were charts, maps with trails and topographies, crisscrossed and dotted with personal notes, most of which were to the effect of “Dead End” or “Trail Goes Cold Here.” With his finger, Alexi traced a line that appeared to be begin in a province many miles away with the words “Last Hope.” It crossed a river, and cut through a forest, and at last entered the valley below before climbing to the very peak on which they now rested. For years I have endured the scoffs and mocking of the so-called scholars at the Academy, but at last, no more. With Sigmund at my side to document and testify to this momentous occasion, we have found it at last. The peak, as described by the locals, where resided the fiend Chinter. The peak where, it is said, are buried the secrets of his power. This will be the most historic moment since the flight of the first airship, and will secure my place in the annals of history. They’ll never forget Alexi Reikoff! Finishing the entry with a flourish of the quill, Alexi stashed in his pack and slipped into his tent. The light went out and soon the only sounds on the frigid mountain top were the competing snores of Alexi and Sigmund. The morning dawned bright and clear for the first time in almost a week. A single cloud blocked the sun for the first hour or so after it rose, during which time the two men broke camp and found a place to leave their things while they began their work. As the sun penetrated the cloud cover and shed light on them, they expanded the area Alexi had uncovered the day before until they found the telltale outline traced by the walls of the old hut. This they cleared of snow completely, as well as a good two or three meters around it in every direction. “There’s no need, Alexi,” Sigmund raised a hand to silence him. Sigmund only grunted in response and the work went on in silence. When they finally finished they got to their feet and examined what they’d uncovered. Without the snow, it was clear that the spot had been inhabited. The earth was perfectly level and a few stones had been laid flat at intervals for a firmer floor. There was a space in the eastern wall that had probably held the door. Alexi took a few moments to sketch out the area both in his journal and on the map that had led them here. Then they turned to the task of breaking through the frozen earth. “No,” Alexi answered, “leave them for now. If he’d had a stone floor, that would be an apt hiding place, but with an earthen floor, these random stones would be the first place anyone would look. Each of them took a corner, beginning with the two at the front of the hut’s remains. After digging out holes a full arm’s breadth across and deep and finding nothing, they moved to the back corners. Again, though they dug deeply, nothing turned up. Worry crept into Alexi’s voice again. Sigmund resisted the urge to suggest that perhaps someone had come before them, but Alexi caught his eye and seemed to read his mind, shaking his head resolutely. When there was nothing immediately visible beneath the stones, Alexi backed away from the site, still shaking his head. Alexi stared hard at his friend, who eventually waved a dismissive hand and kept digging. Alexi withdrew the tattered scrap from where he’d deposited it in his pocket, eyes racing as he read and reread the smudged and blotted script. His eyes returned to the plot of earth they had uncovered. His gaze spread to the rest of the peak. The walls of the hut would have been just about aligned with the drop off on each side. “The corners,” he mumbled slowly to himself, “Not…of the hut,” Straightening up, Alexi made his way dazedly towards the nearest edge. He was very close before Sigmund noticed. The bearded man had dropped to his knees at the corner of the cliff and driven his spade into the earth with all his might. The ground gave way, a boulder beneath the earth loosening and rolling out from beneath the poor man, and carrying him out of sight with hardly a sound. “Alexi!” Sigmund bellowed as he threw himself down belly first by the newly-turned earth to find any sign of his friend. He was there, one hand clinging to a root growing deep in the ground, between the rocks. He took little notice of his friend calling for him to grab his hand. Indeed, he hardly seemed to be concerned with his dire situation. Instead he was focused on something just a few feet from the root he was clutching, reaching for it with his free hand. “Damn you, Alexi! Grab hold!” Sigmund had extended his spade as far as he could, just waiting for his companion to catch hold of it. He soon spotted what had Alexi’s attention, “Leave it, man! Let me pull you up! Let us dig it out from safety!” This thought seemed to filter through Alexi’s stupor and he looked up at the spade, easily within reach. After a moment’s more hesitation he grabbed it, and finding some footing, let Sigmund pull him to safety. Neither of them paused for breath, but they immediately turned and dug into the ground with renewed intensity. A number of large rocks had to be pried out of the way first until they were deep enough. Beneath a sort of natural rock shelf was the roughly hewn stone box probably just small enough in size that it would fit in one of their packs. Alexi held the skins in trembling hands for a while longer before answering. “Yes . . . yes.” He lowered the wrappings back into the chest, attempting to follow them with wide, watery eyes until he’d closed it and together they carried it back and set it beside the ashes of their campfire. There Alexi again retrieved his journal and hastily sketched the chest and its contents before allowing Sigmund to open it again. Alexi unwrapped the leather straps and unrolled the skins. Unfolding them he revealed a stack of loose parchment. He tugged off his gloves and ran his fingers lightly over the pages, eliciting a quiet caution from Sigmund. Alexi leaned in and began to examine the flowing script, eyes darting back and forth. He slowly opened his mouth and at last spoke. They both crammed into Alexi’s tent, and he lit a lantern between them. He handed his journal to Sigmund, and while his companion found a comfortable position to write in, Alexi removed the collection of parchment completely from the wrappings. “Is it legible?” Sigmund asked. “Hm, yes, fairly legible. We can begin transcribing it immediately.” Sigmund dipped his quill in the ink, and let the tip hover over the clean journal page. Alexi cleared his throat, and began to read. Well, I hope you all enjoyed that! I’m not going to have a “formal” writing prompt, at least not yet, but I’d encourage you writers out there to give it a try. Find a song you like and turn it into a story you like even more! 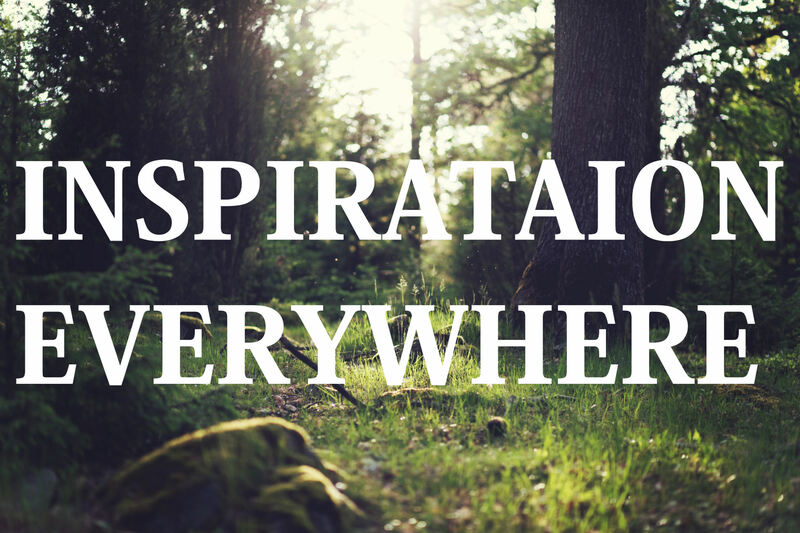 Also feel free to share some thoughts on what has inspired your writing, whether it’s an idea, or the very source!